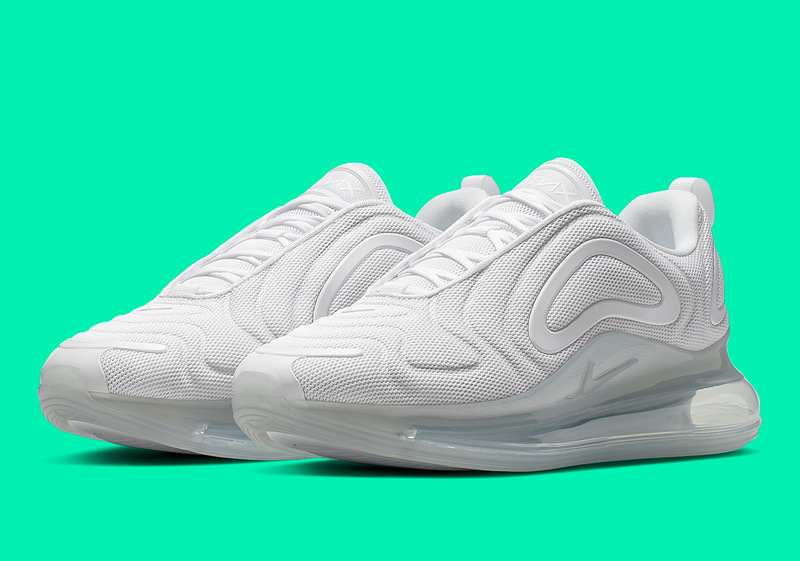 While most of Nike’s efforts toward the brand new Air Max 720 are focussed on color schemes inspired by nature with head-turning gradient color schemes, one of its new entrants will opt for a simple, primarily white construction. Given a “Metallic Platinum” monicker, this creation combines that hue with other shades of white to create an angelic aesthetic ready for lifestyle wear. Engineered to be worn all day in any situation, this simple design ushers in the Swoosh’s brand new 360-degree Air unit that provides 720 degrees of cushioning on both a latitudinal and longitudinal plane. With official images of this brand new 720 colorway available below, you can expect them to touch down at retailers around the globe either at the end of this month or the beginning of next.